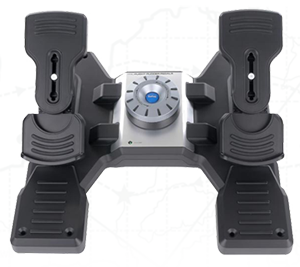 High Quality Affordable Flight Training Devices for Home Users & The Professional. 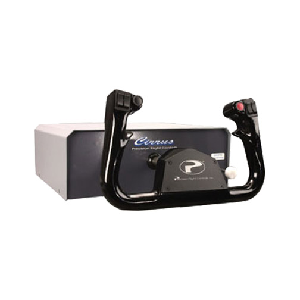 The CR-12 Advanced Aviation Training Device (AATD) is one of the most cost effective fully featured FAA approved desktop training device available. These systems come with or without Motion. The DCX MAX AATD system represents the best available GA trainer in a small package. Finally, quality control loading on an affordable flight training system. 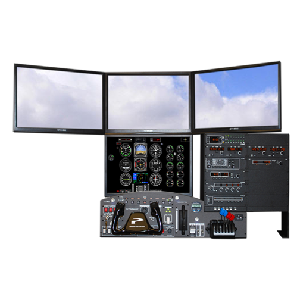 Precision Flight Controls announces the new GT Glass Trainer AATD desktop system. 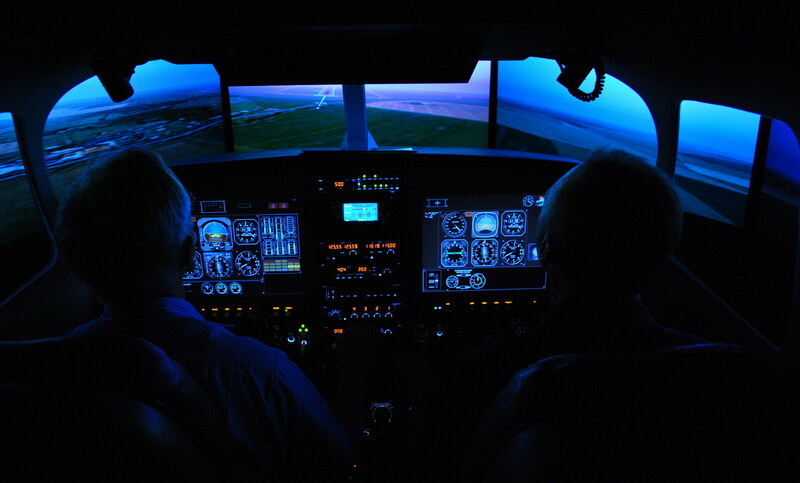 With advanced features such as Synthetic Vision and a fully updateable navigational database (with Jeppesen subscription), no other technically advanced aircraft training system can compete with the GT's features and fidelity. 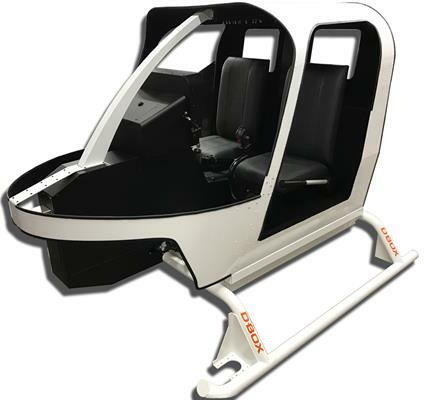 The GT Glass Trainer adds quality glass panel technology to your flight training curriculum at an affordable price. The new Modular Flight Deck is now available! We went back to the drawing board and have re-engineered with even more features and improved ergonomics. 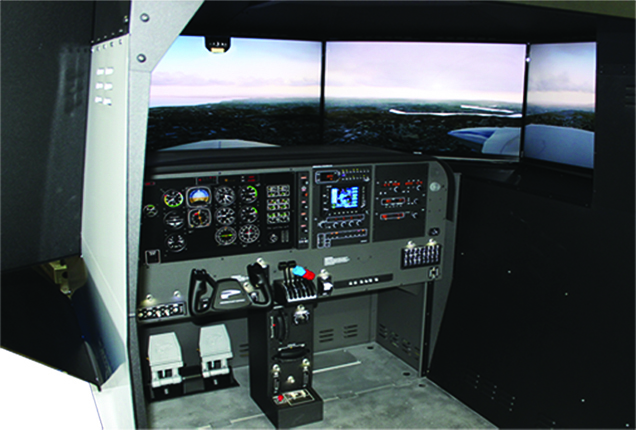 The MFD has more new standard features including Dynamic Control Loading, audio panel with digital altitude pre-select, panel backlighting, functional circuit breaker panel, overhead panel with speakers and map lights, four-way intercom and an all new center flight console giving you well more features than any other AATD on the market today. The new Modular Flight Deck can be configured with either single or dual-linked controls and your choice of four styles of precision cast aluminum yokes (Beech, Mooney, Saab or Boeing) . Standard features include an aircraft fleet of 32 popular singles and twins. 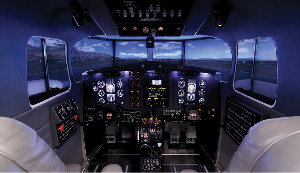 Our optional Turboprop Add-on Kit and Jet Add-on Kit add even more training options. 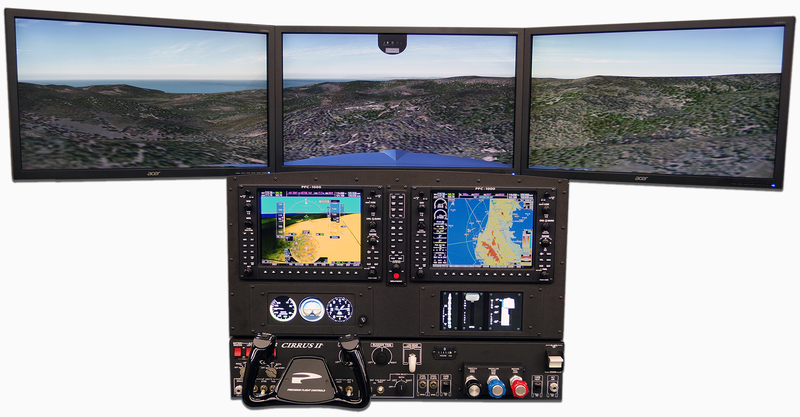 Add our G1000 Retrofit Kit to convert to the latest glass panel avionics technologies in minutes. 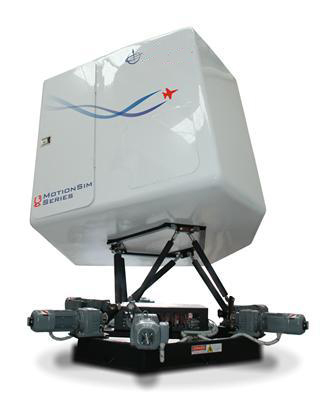 The MFD is the comprehensive solution for beginning, intermediate, advanced, and crew training. 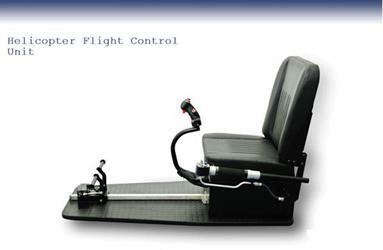 MFD's are currently in use by NASA, the military, FBO's, universities, flight schools, and airlines all over the world. 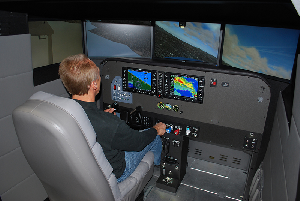 The MFD defines an entirely new class of flight training system. 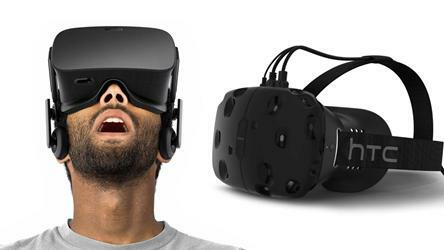 Our hardware sets the industry standard for original design and engineering for years to come. 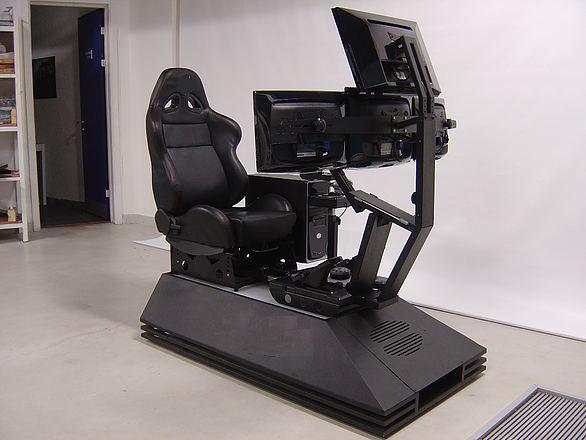 Durable internal aluminum castings coupled to our custom hydraulic dampers provides a realistic feel, while an ergonomic panel powered by state of the art digital electronics immerses you into the simulation. The cockpit's exterior is gel coat fiberglass with a durable vinyl-finish interior for years of maintenance free use. The system has a small footprint to save your valuable space. The MFD represents an imaginative blend of advanced technology and reliability combined with low acquisition and operating costs. No expensive service fees, maintenance contracts or extended warranties are required. 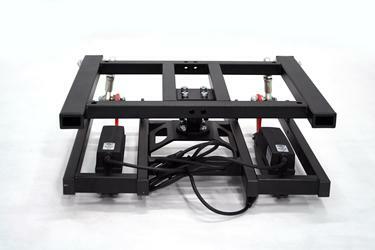 Check and see how affordable the Modular Flight Deck is. 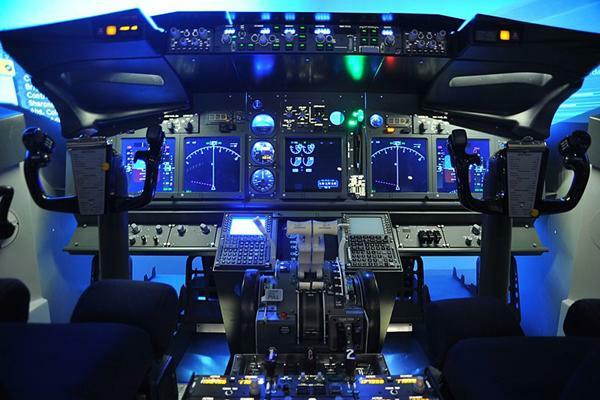 If you operate a multiple-aircraft flight department, the Modular Flight Deck is a reliable, efficient, and affordable ingredient for your companys success. 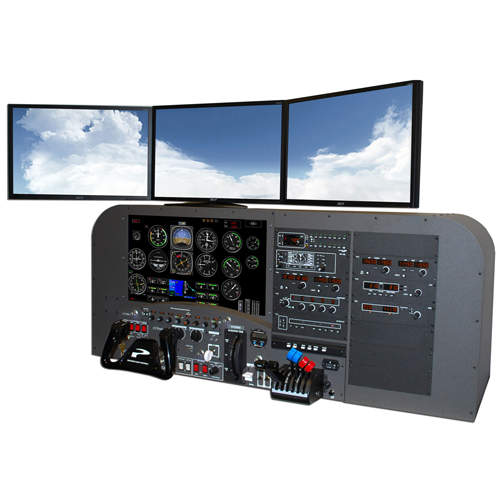 No other Advanced Aviation Training Device has ever been designed with such advanced technology, which is why no other AATD performs like it.